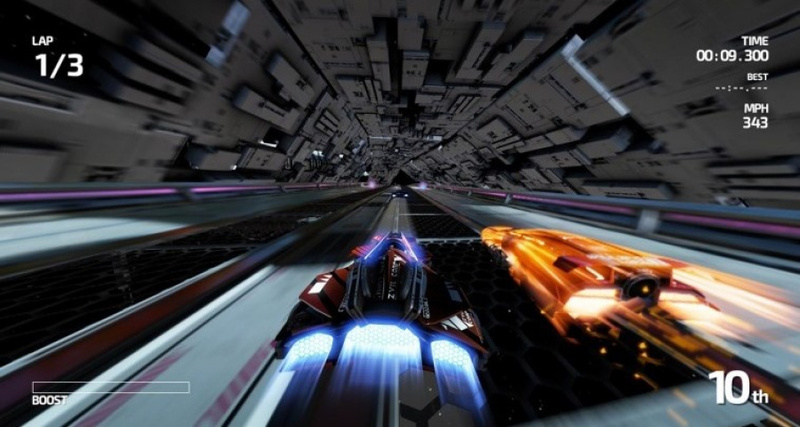 In the first of this 2015 'Year in Development' series, Shin'en Multimedia's Manfred Linzner talks about a big year for the studio that culminated in the December release of FAST Racing NEO on the Wii U eShop. As a studio you were relatively quiet early in the year, though fans knew you were working on FAST Racing NEO. Can you talk a little about the first quarter of 2015 and what was happening behind the scenes? The first quarter of 2015 was very busy. In this time we finally nailed the look and feel of all the tracks in the game. We got a lot of feedback on early builds of the game and that was a big help to focus on finishing what we started two years ago. E3 was a key moment for the game, with an early teaser trailer just before the show and then an appearance on the Treehouse broadcast in LA. First of all, can you talk about how that appearance came together and was arranged? We always have good contact with Nintendo and so they knew that we had something special in the works. After showcasing our game on several occasions for Nintendo of Europe we got the invitation for E3 from Nintendo of America. FAST Racing NEO was simply the right title at the right time, and with the right quality that Nintendo wants to see when they pick up on an upcoming release. Can you provide some perspective on the preparation that went into those E3 activities? Fortunately we already had a very stable build at the time when we got approached. So we knew it would be a good showcase. We took some weeks to add as much polish as possible into the tracks and ships; we were quite excited to see how people would react to it. What was the immediate reaction from fans to Martin Sauter's (Art Director) appearance on the Treehouse feed and the footage of the game? We followed several live streams and people's positive reactions heated up within seconds after seeing the game. At this time we knew that everything we have done so far could work out in the end. Was that E3 appearance a significant moment, from your perspective? Yes, it was a major motivational boost for the final months in the game's development. Following E3 the game was shown off at multiple expos and events; how valuable are these events to the development team, and did any feedback or comments from attendees stick in your mind? The feedback was invaluable! We got reactions ranging from young kids to people even older then us! We had all sorts of players together and from all these inputs we tried to distil a formula for how the races should feel for players. That shaped the AI behaviour and track selection for the cups in a fundamental way. As you approached the December release was there a significant 'crunch' period, or was finishing development a relatively steady experience? It was a steady experience for us, thankfully! We don't have 'Crunch Time' at Shin'en. We decided against it many years ago; we have regular working hours. People need to have a life beside the company. If you need to crunch you did something wrong in the past. This can happen once or twice but you learn from your mistakes. We've made games for more than two decades and know our limits very well. Martin told us in the past that this was probably the biggest project Shin'en had ever undertaken; did that make you feel more pressure as release got closer? When developing such a large game there are up and downs. You always have this vision but there were various technical hurdles to take on, and sometimes it looked like we would never finish and the task was too enormous. When looking at our team realistically we knew that our small size would be a risk but also a hidden power. Other great games like ours were done by 10x larger teams and budgets. So we always tried to find new ways to create the game, but going down such unknown paths is a pressure and risk in itself because sometimes they don't work out and time and resources are wasted. After some months we finally realized we could handle it, and this was the time the pressure dropped and the fun came back. Of course it's hard work to finish a game, but everything finally felt right and we were really looking to the day it would be released. The Nintendo community was certainly excited about the game prior to launch; is that the sense you've had, that anticipation was high for FAST Racing NEO? The anticipation was certainly very high but in the last months prior to release we had so much work to do that we only grasped a fraction of it. The name 'F-Zero' is often mentioned, though most acknowledge what makes FAST Racing NEO different and unique. Nevertheless, is that a comparison you enjoy, or would you prefer it didn't happen? Well, there are only two really big sci-fi racing games around. Everyone knows them. So its just logical that we get compared over and over again. We don't have a problem with that. When people start playing FRN they realize that this is something very different to these other games while still being a perfect sci-fi racer on its own. As we talk the game has just launched in the eShop: what are your early instincts on its reception. Has the response to its launch been what you hoped it would be? We had a bet running in the company on how many copies would be sold on day one. Martin called the highest number. And he was right. It was almost exactly the number he predicted. We are very pleased with the sales so far, but on the other side our preceding investment was very high as well. Anyway, currently it looks pretty bright for the sales. This seems to be a project that's demanded a lot of your team. 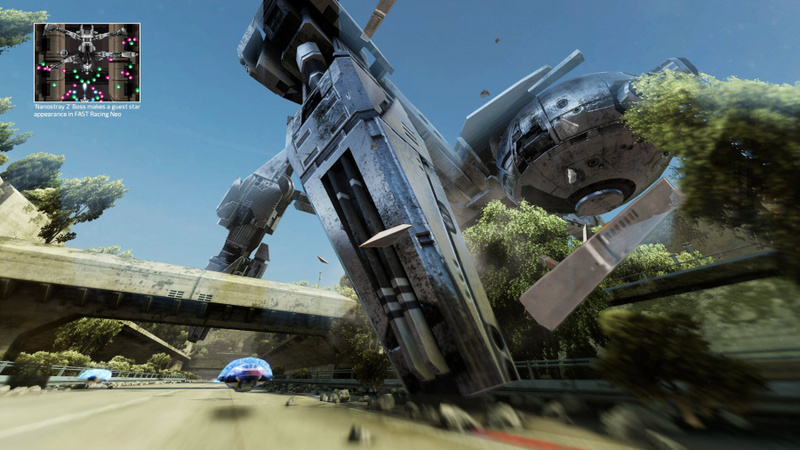 What's next for Shin'en - are you planning any expansions for FAST Racing NEO, do you plan to move onto fresh projects? There are already some FRN improvements planned along with fixes. Detailed plans for FRN's future will be made next year. We also started working on some new game prototypes, like we always do. As 2015 ends, what are your overall feelings as you look back on the year? All in all we did the best we can, and this has already made us happy - regardless how everything turns out in the end. Thanks for all your support over the years! We hope there are many more to come! Just keep doing what you are doing Shin'en. I wonder what kind of game Shin'en would make if they have a bigger budget to work with. I've been in gamer heaven this month. Xenoblade and this and I feel like I'm 7 years old and just found the joy of video games! Thanks guys! This is the best game you guys have made, well done. Now please do a Wii U Jett Rocket. I really hope a lot of people find and buy this gem. There aren't enough futuristic racers these days. Got it last weekend and had 4 friends playing the heck out of it. Awesome game. If given a decent budget they I think they could be the new Rare . I sent Shin'en an email about 30 minutes after I got the game, thanking them for it. In just half an hour I knew it was a fantastic game. Surprisingly, I and I think, most other people, saw the different speeds and thought "well, at least I can play on easy". I thought medium and hard looked downright impossible. But they're not. After playing it for about 15-20 hours now, I've completed it on medium and I'm halfway through hard. Those speed classes are not as impossible as they look! I've also beaten the developer times for 13 of the 16 tracks. On sub sonic, that is. Not sure I'll be able to beat Shin'en on the other speed classes. And Hero Mode... to hell with that thing! If they put the soundtrack up for purchase, I'll definitely get it. I'd also rebuy if they manage to get a disc based version released. Shin'en must be supported for this absolute gem. It's always so refreshing to hear them talk... investing their time in such a great game, beautiful graphics, supportive of Nintendo, working well with Nintendo, happy about sales results... these guys are Nintendo paradise. I love this game, though I've only played it for about 3 hours. Online is intense too, it adds a lot of value to the game for that small $15 price tag. Wish them all the best with the sales. I picked it up day 1, with some trepidation, but it is truly a great game! Nintendo should buy them. FAST! I love your work Shin'en ! Can't believe I haven't bought this game yet, I really hope Nintendo gives this studio the chance to work on the F-Zero license. When such a tiny team can create something so beautiful and so technically impressive, it really exposes the big third parties and their lazy, ineptitude. I really hope they get the sales they need to make this a worthwhile endeavour. We need talented indies to have the confidence to make these kind of ambitious games and show the big boys how it's done. I'm waiting for my Nintendo eshop gift card for Christmas, so I can buy this game. I'm looking forward to it! The game looks great, could be mistaken for a premium title easily. "We don't have 'Crunch Time' at Shin'en. We decided against it many years ago; we have regular working hours. People need to have a life beside the company." Well in Germany you couldn't do that anyway because of our laws. What are the chances of the first one coming out on physical release with this one? I really want this, my favorite genre, but I know it's going to be too difficult for me and i won't be able to unlock the second cup. Can you at least experience all tracks in time trial mode? Or in online play? I went back to the first one again last night and repeatedly failed on the first cup. last place, almost every race. Don't see how this one will be different, but if all tracks are available in time trial mode or at least in online play randomly, that's a plus. I don't play video games for a challenge, I play them to zone out. I can't wait until I can afford to buy this. And I can't wait to see what they do next. I was just thinking that I would love to see their take on the superhero brawler. Not in the racing mood but I just picked this up anyway to support these guys, It will be there when I am in the mood. I was blown away by the small file size. Only played it briefly and won 2 cups - I just haven't had the time to play it, but what I have played feels great. And for them to sell it at such an amazing price, I feel every wii u owner should show them some love and pick it up. Well done, Shin'en! Consistently proving the naysayers wrong and shaming large big-budget studios with your beautiful games. I'm a huge fan and am so glad to see your name continue to gain the recognition it had deserved for so long. I like these guys and hope the game sells really well it deserves to. Well done to Shin'en. Absolutely brilliant. A fantastic game, having a lot of fun with it and also happy that the few issues are being resolved so fast via the January patch. You should be proud of yourselves Shin'en! 1. Can you make it so it's actually possible for people to make soft/smooth landings if they control the vehicle across jumps perfectly? Rather than it always looking like the craft is smashing violently into the track when it lands--or at least that's how it's looked in every single gameplay video I've seen thus far--as it comes across like the player is being "punished" even when they make a jump perfectly. 2. If it's not in there already in the game, can you add an optional mode where it's possible to race without any orbs on the track at all? You can figure out how the shield, boosting, and phase changing will work without any orbs to collect. I think those were the only gripes I have with what I've seen of the game. And, no, I've not played Fast Racing Neo personally, but that's only because I'm too poor to own a Wii U and to buy your game, otherwise I would get it. I did get Fast Racing League on Wii though, if that makes certain people who might feel otherwise, feel like I'm at least somewhat entitled to have an opinion on Fast Racing Neo. Very refreshing to read a dev happy with their product and their sales and the fanbase. I still need to buy this I admit, but definitely will. While everyone was whining about Devil's Turd, before and after its NA release, I was anticipating this game. It's fast, fun, and the tracks are awesome. Plus, the music is great in the cheesiest possible way. Good work, Shin'en Multimedia, as always.